The use of electronic health records (EHRs) continues to gain traction in hospitals and health systems around the world. Over the last decade or so, EHRs have overtaken paper-based records as the primary means for healthcare providers to record, share, and manage huge volumes of data that practices, clinics, and hospitals create and store for each patient. The use of advanced EHR software saves medical institutions time and money, and enables instant communication between hospitals, insurers, and referring physicians. In many ways, EHRs are in still in their adolescence, with their full potential to turn data into actionable insights that can transform the patient experience yet to be fully explored. Some, in fact, view EHRs as a time-consuming burden for doctors, whose time would be better utilized tending to patients rather than filling out electronic forms. Others, however, see them as a key aid in patient diagnosis, reducing medical errors, and improving public health by creating a bird's-eye view of an entire patient population, allowing providers to identify risk factors and proactively prepare for potential outbreaks or illnesses. University of California San Francisco (UCSF) Health falls into the latter category, and, in a first for hospital infection control, has been using electronic health records to track down the source of a common hospital-acquired infection. A bacterium known as Clostridium difficile - more commonly referred to as C. diff - is the leading cause of infections in healthcare settings. However, in a busy hospital with thousands of patients, doctors, nurses, and other staff sprawling about, the source of C. diff can be hard - if not impossible - pinpoint. Nonetheless, UCSF is committed to reducing hospital-acquired C. diff infection rates and came up with an innovative solution to utilize data contained within patients' EHRs. The UCSF Health Informatics team realized that within each patient's EHR was information detailing which rooms patients enter for every single test, treatment, and procedure, and that this data could be used to reconstruct each patient's footsteps throughout the hospital. Using time and location stamps - which are entered in EHRs whenever patients undergo procedures, such as radiological scans or operations, or when patients are moved to different parts of the hospital - the Informatics team was able to trace the movements of 85,000 patients and map 435,000 patient location changes throughout the UCSF Medical Center at Parnassus over a three-year period. The results were published in JAMA Internal Medicine in October last year. Ultimately, by using the data to construct a map of where all patients with C. diff infections had traveled over the course of the three-year study period, the team was able to trace a significant source of infection back to one CT scan machine. It was found that patients who entered that scanner within 24 hours after C. diff-positive patients were more than twice as likely to become infected with the bacterium themselves. Subsequently, the hospital standardized the cleaning practices for that scanner to match those used in other radiology suites. It was the first time EHRs had been used in a hospital setting in such a way. 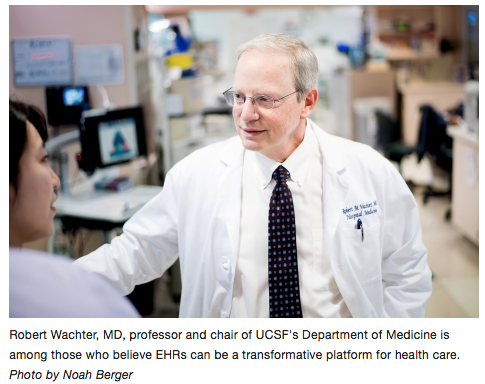 Robert Wachter, MD, Professor and Chair of UCSF's Department of Medicine, said that it "is a brilliant example of how we can learn from data in electronic health records." Niraj Sehgal, MD, MPH, Vice President and Chief Quality Officer for UCSF Health, said it was a breakthrough for improving patient care. "This shows the potential for what can happen when thoughtful data scientists leverage electronic health records to tackle a common healthcare problem. 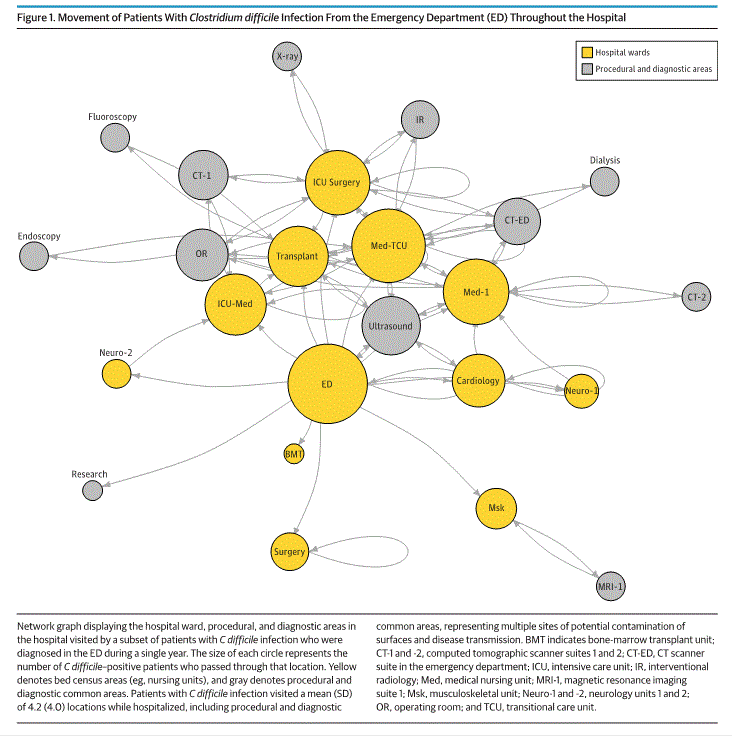 The novel approach helped bolster our infection prevention strategies, but also demonstrated the answers that can come from studying the vast sources of data generated through a patient's hospitalization." Up until now, the most value derived from the increasingly widespread use of electronic health records has been in improving the storage and streamlining the flow of patient information throughout healthcare systems. However, as UCSF Health has shown, this only scratches the surface of EHR's potential. Electronic health records contain huge amounts of data, which clinical informatics teams can mine to unearth meaningful patterns that lead to vast improvements in patient care, identify risk factors, develop new drugs, and track down the source of more infections. Researchers are only just beginning to discover how to use EHRs for these sorts of purposes, but progress is being made. UCSF is one of five UC Health systems that have joined an effort to integrate their EHRs, which comprise more than 15 million patient records, creating the largest collection among academic health centers to date. The project will not only streamline the exchange of information but lay the groundwork for future data-driven experiments that could lead to more precise medical care. 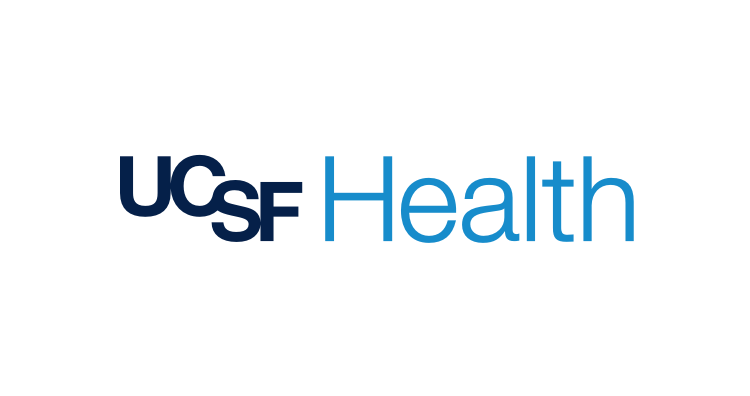 The authors of the C. diff study concur that this is just the beginning and that UCSF Health's Informatics team will continue to explore EHRs for the who, what, when, where, and why of what happens to patients in the hospital. "The electronic health record is a treasure trove of clinical data and insights, but we are just beginning to discover how to unlock its secrets," said Wachter. "This study demonstrates the potential to transform patient care when innovative clinicians and technology experts join hands to tackle healthcare's hardest problems." You can hear UCSF Health's Chief Patient Experience Officer Susan Pappas speak at NGPX 2018 this November at the Rancho Bernardo Inn, San Diego, CA.